Cutting the Cable – ScienceMan! 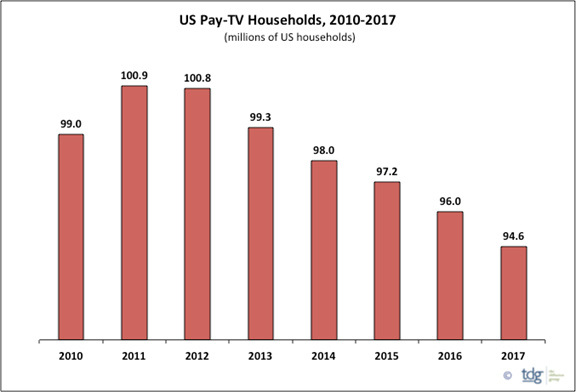 You don’t have to do much research to learn that people are dropping their pay TV services in record numbers. It’s not hard to imagine why. Personally, I finally got sick of paying $100/month cable bills for a bunch of junk channels that I never watch. It’s only due to laziness that I never cut my cable a long time ago – I was afraid of the hassle, but ironically, it’s been a lot of fun switching to alternate sources of entertainment. Here’s a few things that I’ve learned, and some recommendations. Really a no-brainer. The number of Netflix subscribers continues to grow, and for good reason. For only $8/mo, you’re getting a huge, constantly growing library of entertainment. And then there’s the flexibility of viewing – if you’re like me, you’ve got a couple of iPads and computers in the house – my wife and I find ourselves watching Netflix all over the place. On the TV, we access Netflix via Apple TV, which is very convenient and provides other entertainment options as well. One thing that some people may find hard to give up with cutting cable is their fix of local news and weather. I’m kind of a local news junkie, so to fill this gap, I picked up this over-the-air RCA digital antenna for only $70. 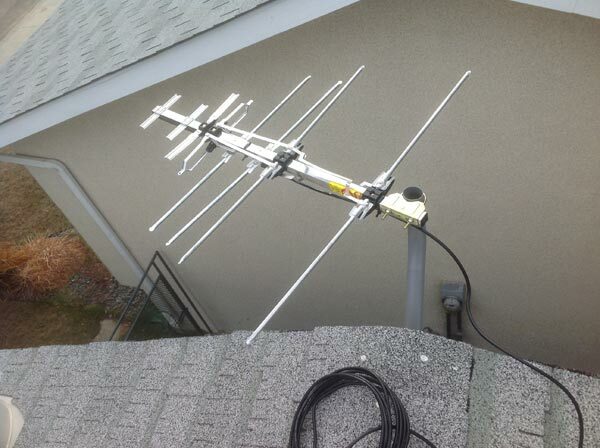 Installation was simple – just fold open the antenna, attach the cable connector, and you’re good to go. I chose to bolt it to the eave of my roof – the included rugged mount will accommodate other types of installations as well. Once you’ve got it installed, connected to your home’s cable, and pointed correctly (in Canada you visit the website tvfool.com to find out where you need to point the antenna), that’s it. Set your digital TV to antenna and you’re ready for FREE TV. I was shocked by the quality – the uncompressed over-the-air digital signal provides a full HD signal that is absolutely crystal clear, much better than what you get with a paid cable connection. Of course, your results may vary – I’m in central Alberta, pretty far away from the signal towers, but it still works great. The number of channels you’ll get depends on your location – I get everything I need with CTV, CBC, GLOBAL, CITY TV, and OMNI (I also get CBC French and the Christian CTS channels). I suppose if you live in a place like Toronto, you’ll probably get a lot more channels. I don’t regret cutting cable for one second. Along with watching less garbage TV, I have found exploring the alternatives to cable TV to be an interesting adventure. Try it yourself, and put the $100+/mo you save to much better use!